Birbhum district, named after the Hindu rulers Bir Rajas, has its own share of historically important places. The districts of Mlurshidabad and Barddhaman bound Birbhum on the north and west by Jharkhand, and on the east. Siuri is the district headquarters. The Viswabharati University at Santiniketan, established by Rabindranath Tagore, Sriniketan, a centre for traditional handicrafts and Bakreswar, famous for its hot springs are amongst the most famous in Birbhum district. Air: The nearest airport is at Maldah. Rail: Regular train services connect Birbhum District with other important towns and cities in the State. Road: A good network of national highways connect Birbhum district with other important town and cities in the State. Ballarpur Sanctuary: Established in 1977, this beautiful wooded area near Shantiniketan is home to a number of deer including the Blackbuck. Best season to visit is November to February. Bakreswar: Famous for a its hot mineral springs, Bakreswar also has temples dedicated Lord Shiva and Goddess Kali. Masanjor (Jharkhand): The site for a massive dam across the Mayurakshi River. Masanjor is surrounding by a picturesque hills and forests. Though located in Jharkhand state, Masanjor is easily accessible from Shanti Niketan 78 km and is ideal for a quiet holiday. Nalhati: The capital of the Hindu ‘Nal‘ kings, the ruins of their palace can be found on a hillock nearby. The adjacent Lalateswari temple and spring are also famous. Nanur: The birthplace of the Vaishnava poet, Chandidas. 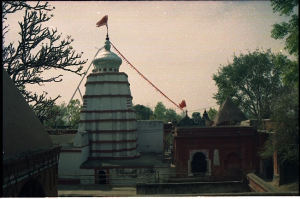 Nanur also has a Basuli temple and ancient stone images of Lord Vishnu. Shanti Niketan: Shanti Niketan, the abode of peace, was founded in 1901 by the poet Rabindranath Tagore, who established an open-air school, which are an International University (Visvabharati) and a great centre of oriental education and culture today. Set amidst lush greenery, the University imparts academic and cultural studies together with a wide range of activities like agriculture and cottage industries. This entry was posted in Birbhum, West Bengal. Bookmark the permalink.